First a book, then a movie… “Black Klansman” tells the story of how former police detective Ron Stallworth infiltrated the ranks of the Ku Klux Klan. Stallworth recently visited New Mexico State University to share his experiences. Michael Hernandez reports. Retired police officer Ron Stallworth still keeps his red membership card from the Ku Klux Klan in his wallet for show—and for good reason. As the first black detective in the Colorado Springs Police Department, Stallworth infiltrated the KKK in the late 1970s. He details his time undercover in his 2014 memoir “Black Klansman.” Director Spike Lee adapted his story for the Oscar award-winning “BlacKkKlansman” movie. Stallworth recently visited New Mexico State University to share his story. He grew up in El Paso in the 1960s during the civil rights movement. Stallworth ranked his experiences then as positive. El Paso, he said, insulated him from the events taking place in the Deep South. As the book and movie explain, Detective Stallworth responded over the phone to a newspaper ad recruiting new Klan members. 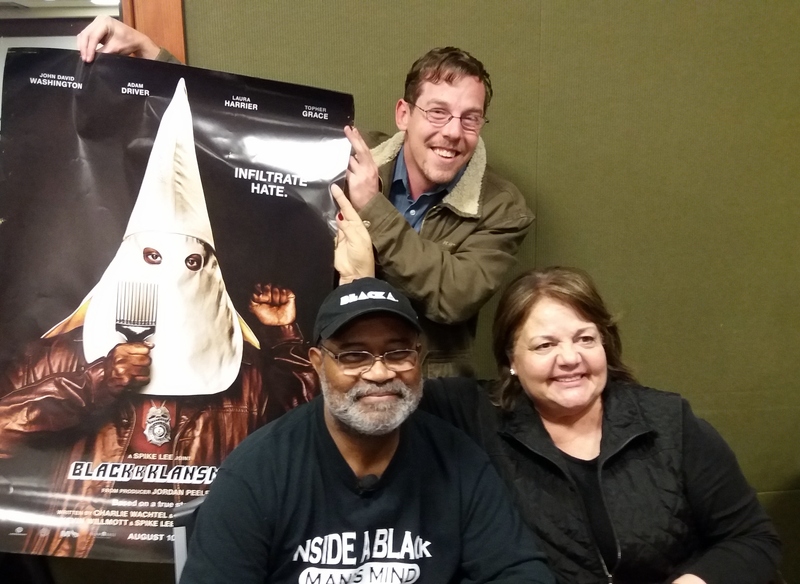 New Mexico State University alumnus Richard Wright holds up the signed "BlacKkKlansman" movie poster he won from author Ron Stallworth. 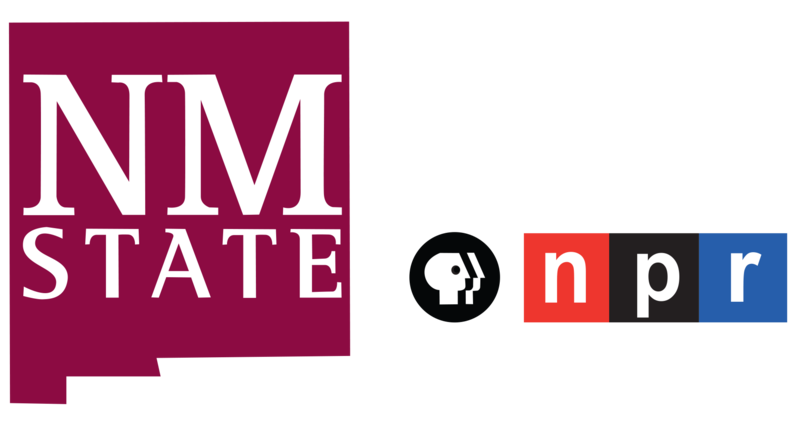 Stallworth and his wife Patsy visited NMSU on March 15 to promote his book "Black Klansman: Race, Hate, and the Undercover Investigation of a Lifetime." “If you’re going to be something that you’re not, you have to fit in with the people that you’re interacting with. And so, I assumed the persona on the phone as a white supremacist by using the language of hate. It was that simple," Stallworth said. An officer for more than 30 years, Stallworth initially joined the police force to pay for college and earn a degree as a P.E. teacher. After his rookie year, he was making twice as much money and having as much fun. But the mystique of the narcotics officers Stallworth first encountered fascinated him and spurred him to be a “narc” himself. “They were very scruffy-looking. We called them hippies. Very long hair, long beards. They just didn’t fit in with the police environment and yet they were cops in every sense of the word and I liked the fact that you could look that way and still have the authority of the badge to do the job," Stallworth said. With that badge comes inherent risk. But Stallworth said he felt no special danger as a black officer. “We were liked by some, hated by many and if anything, the black community as a whole was not very welcoming to me and others simply because we were black. They viewed us as traitors, the enemy and that is a dichotomy that black officers find themselves in. As I say in my book, we’re too black for the white community and too blue, as in the uniform, for the black community," Stallworth said. That’s especially salient in the era of Black Lives Matter and the Blue Lives Matter countermovement. Citing an increase in far-right extremism, Stallworth said attitudes on race have taken a giant leap backwards under President Trump. “Trump for all intents and purposes is the ideological leader of the white supremacy movement in America Trump is a disgrace to the office that Barack Obama held so honorably. Trump advocates on behalf of white supremacy individuals. He did not denounce David Duke. He did not denounce the violence in Charlottesville. He made the most ridiculous statement that there were good people on both sides," Stallworth said. "For the record," Stallworth added "there is no such thing as a good Nazi. There’s no such thing as a good skinhead. There’s no such thing as a good Ku Klux Klan member. There’s no such thing as a good alt-right member. They’re white supremacists period. For Stallworth, who is working on a new book, El Paso will always be home. He said he loves the diversity the city offers whether that’s the people, culture or cuisine. “I love that diversity," Stallworth said. "I don’t need to be in a city that is predominantly black in order to find my cultural roots and heritage and to feel as one with others. I feel as one with the people of El Paso and I love where I’m at." And, Stallworth said, who he is.